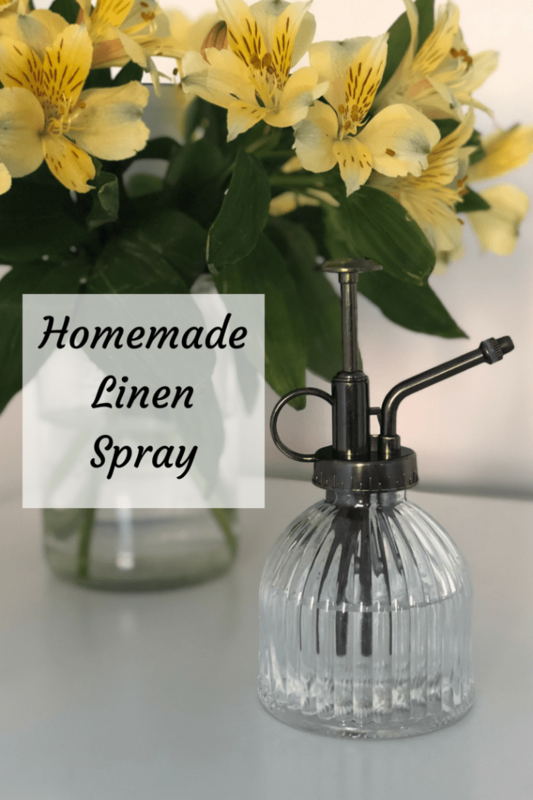 Thrifty Homemade Linen Spray – perfect for refreshing your sheets…. 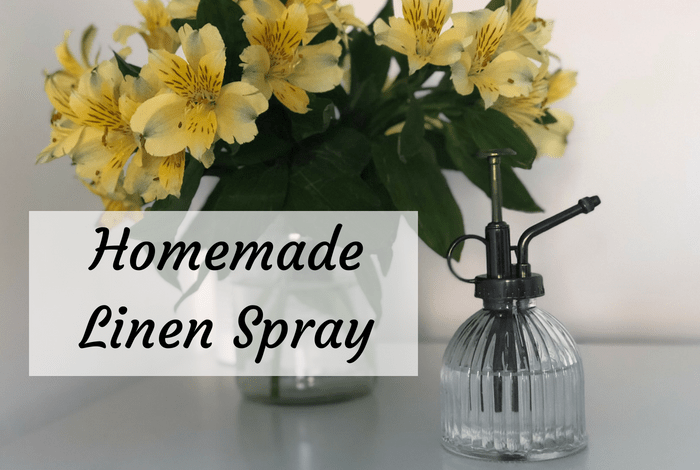 Homemade linen spray is my new favourite thing! It also doesn’t have to cost £45 like the linen spray I spotted in Jo Malone recently! You can make your own for a fraction of the cost and you too can have posh person bedding! In all seriousness, linen spray is literally just a mixture of water, witch hazel and your favourite essential oils and once mixed together, you spray it on your bedding and your towels to give them a lovely smelling refresh between washes. 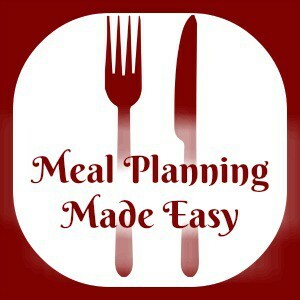 It takes about 2 minutes to make and since I made my first batch, I’ve used it twice daily on our bedding and whenever I remember on my towels. I also love the lavender scent which really relaxes me at bedtime too! 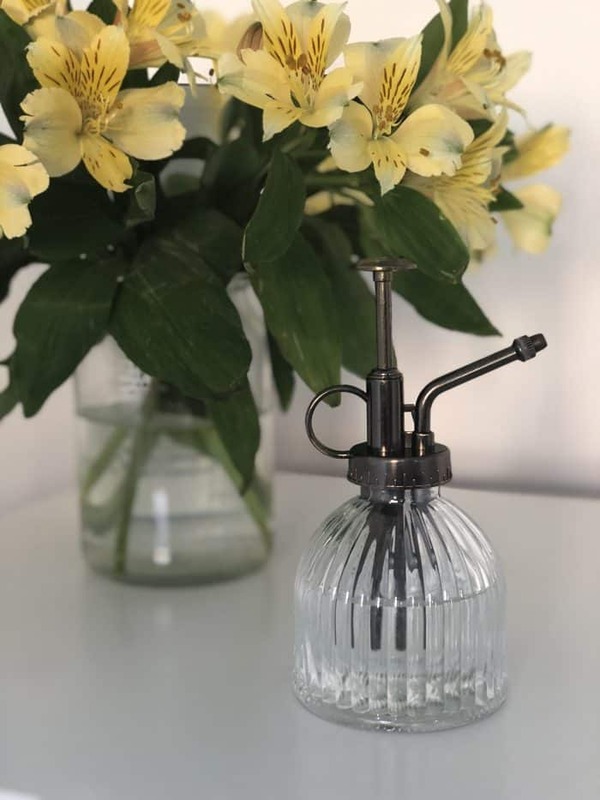 To make your homemade linen spray, you need the following to work out how much liquid your spray bottle holds – it’s a 1:3 ratio so one part witch hazel to three parts water. My super cute little spray bottle holds around 280ml but because you need to leave enough space to add in your essential oil and also to give everything a good shake before using, I always calculate my quantities so they don’t fill the bottle to the top. 30 (ish) drops of lavender essential oil. Mix everything together in your bottle and give it a good old shake! Spray in a fine mix over your bedding and towels to refresh them between washes. I spray morning when I get up and evening at some point before we go to bed. PS. As always, you should use caution whenever you’re experimenting with essential oils. I’ve written a post here about the things you should be looking out for when using essential oils. 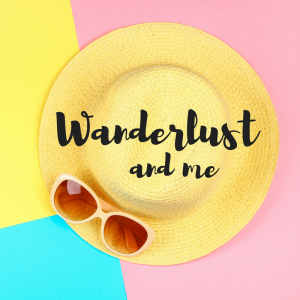 I also included links to the bottles that I use for my Essential Oils DIYs because I always get questions about where you can get them from. I’ve never had an issue using any of my DIYs but before I used this homemade linen spray I still did a bit of a spray test on the corner of my bedding! And if you like this, have a look at the rest of my homemade cleaning products here. 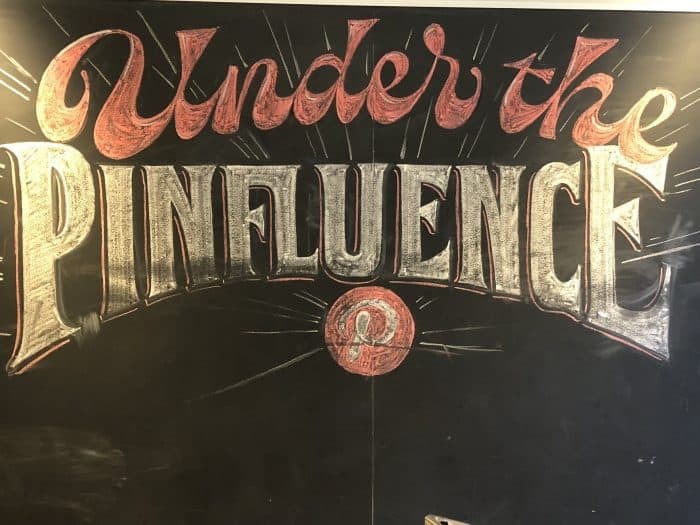 What Pinterest HQ really looks like….